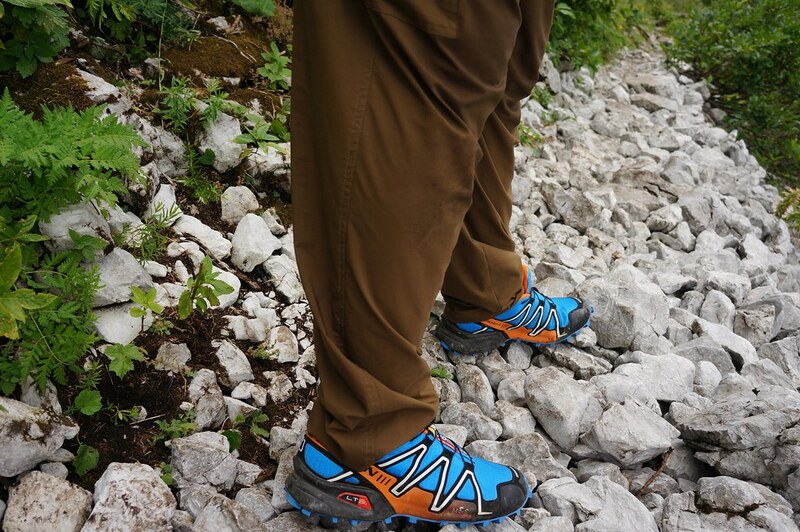 Right after my Inov-8 X-Talon 190 were deemed no longer good enough to go on a long trip, which was right before the Ultralight Summit, a new pair of trailrunners was needed. I decided to give a new brand a try, and just a couple of days before I flew to Slovenia blue Salomon Speedcross 3 trailrunners arrived. A living Review. 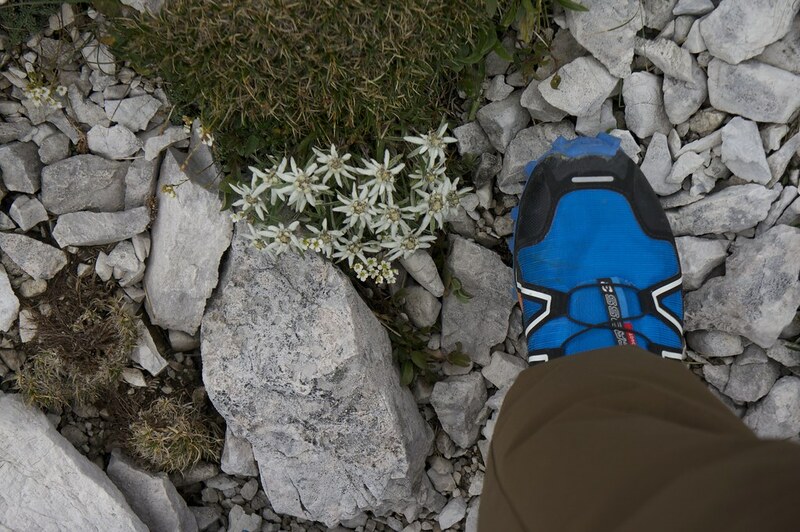 The Speedcross 3 have been used since July 2012, on the UL Summit in Slovenia, overnighters, cycling, and pretty much every day that “normal” shoes weren’t necessary. They’ve been walked in over 1000 km since (Moves App is wonderful!) and still have a bit of grip and use left in them. They’re trailrunning shoes. 90% of the time I use them for normal walking and hiking, though. 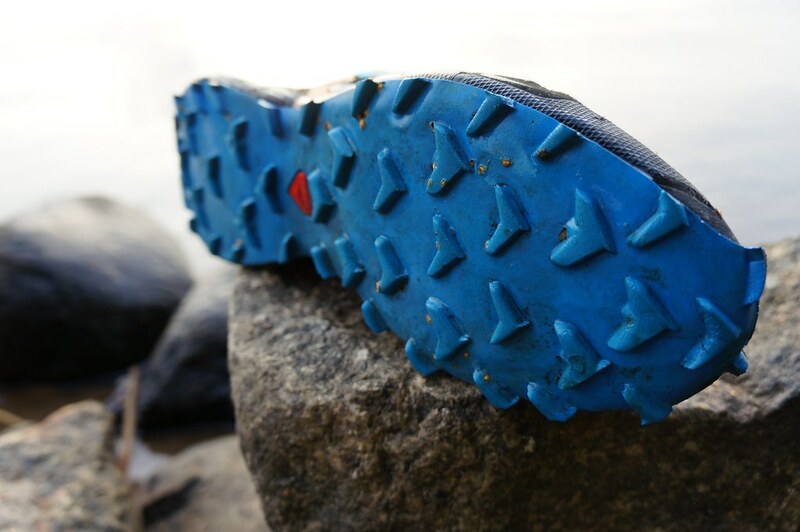 They have a little bit more grip on wet rocks and muddy trails than wearing no shoes, are a little warmer in the snow, offer a little more protection against sharp stones, stinging insects and plants. 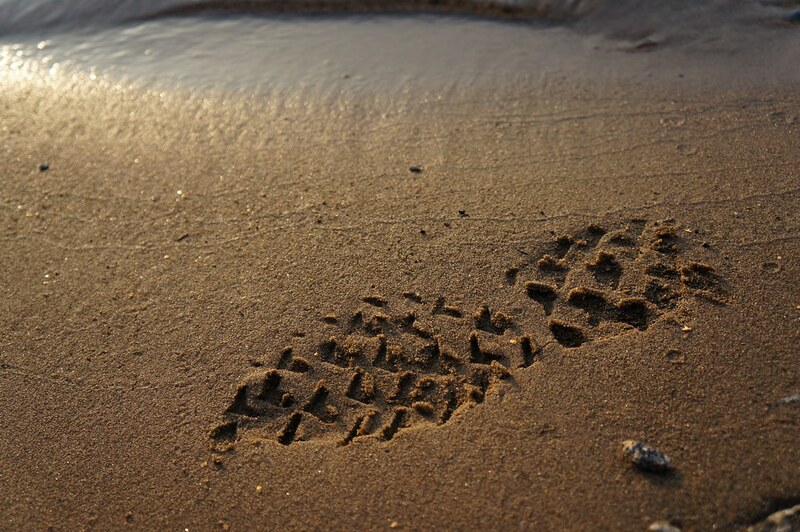 If you are outdoors, shoes are a useful thing to wear, unless you’re a follower of the barefoot movement. The Quicklace closure is so excellent, that I used it exactly once: The day I put the shoes on for the first time. I like to wear my shoes a bit on the lose, so that they’re easy to slip in but still offer enough hold to run or scramble in. Other shoes with conventional laces I needed to re-tie every now and then, but the Speedcross 3s have been tightened once. I like that. Otherwise they’re a good fit for my feet: Nice tight in the heel, plenty of space for the toes and good support and hold in the middle. The Quicklace system I’d need to mention here, at least I haven’t seen anything like it on other shoes before or after. The shoes have cleats which I haven’t seen used by other brands. The Speedcross 3 are high quality shoes, just the fact that I have been walking well over 1000 km in them and they’re still in a good shape speaks for them. The mesh upper is still 100% fine, the cushioning still works well but the cleats start to get rather small as I use them a lot walking on streets. The pair of them, in Size 42, weighs 614 g or 307 g per shoe. They’re not the lightest trailrunning shoes, but still are acceptable. Salomon has an Environment page on their website. Information is brief, very brief: 91 words were spent on letting us know that the company want to reduce their CO2 Emissions, eliminate toxicity in their products and that they want to develop products and processes which are environmentally friendly throughout their life-cycle. How they think to go about that all, well, it’s a mystery (as is putting the dot at the beginning of their sentences). Recyclability, either you drop them in a container where they collect old footwear, or drop them off at the shop you bought them. They’re made of oil-based materials and rubber, so don’t belong in the rubbish bin. 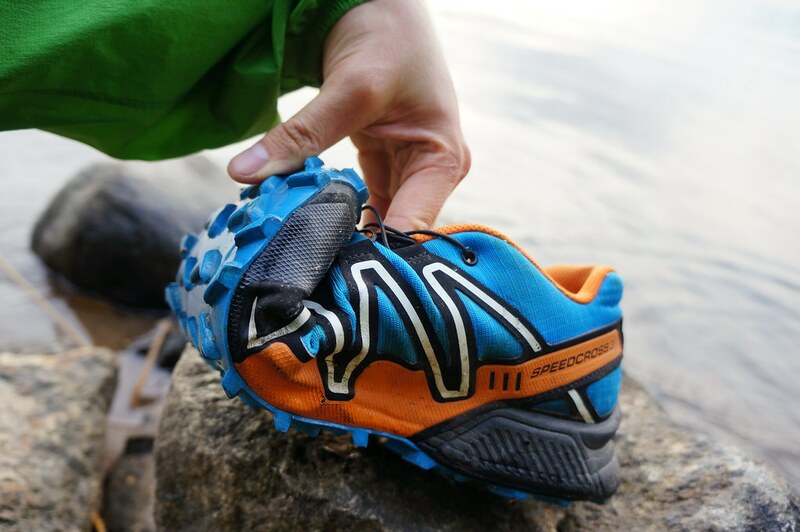 The Speedcross 3 shoes have seen plenty of different terrain and usage: Fording rivers, climbing peaks, walking on rubble paths, muddy paths, tarmac, forest roads, cycling, running. In all of these situation I never felt like I’d like to be wearing another shoe - they’re great allrounders which suit a multitude of undergrounds and activities. I was sceptical of the Quicklace system, though in case it didn’t become clear yet: I really like it. Being able to fasten my shoes once and then just slip in each day in the morning and slip out in the evening is very convenient. 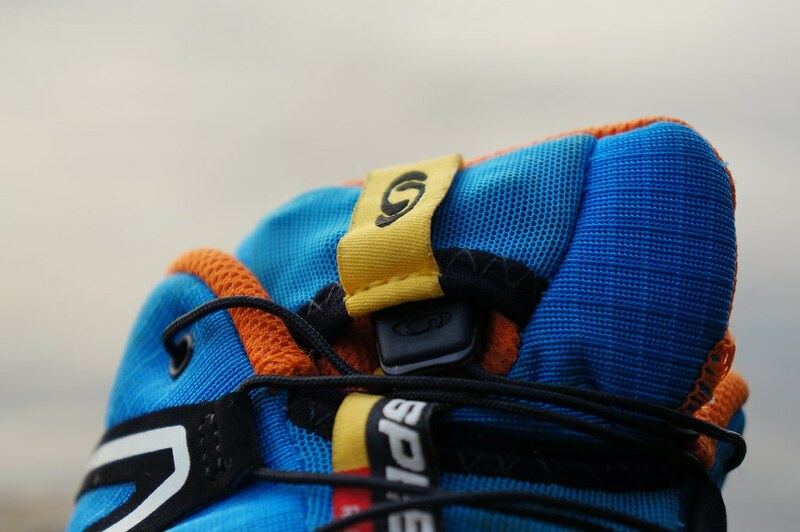 The small pocket which takes the closure mechanism does the job well, and it’s for people who don’t like tying their shoes or having their shoelaces come undone at the most unfortunate times a real solution. While I’m not sure if my next shoes will be Salomons, I am sure I will be missing the convenience of the Quicklace system. The Speedcross 3 are almost 90 g heavier than the X-Talon 190s and I can feel the difference if I have one of each on my feet. They’re not uncomfortable heavy, though. They also have slightly more cushioning, which is OK. I need to pay more attention to walking ball first, though (I strike slightly behind the ball first when walking, when running more in the front). If you are aiming to strike with your fore-foot first, then the Speedcross 3 are OK but shoes with less cushioning could be preferable. The shoes dry reasonably fast. 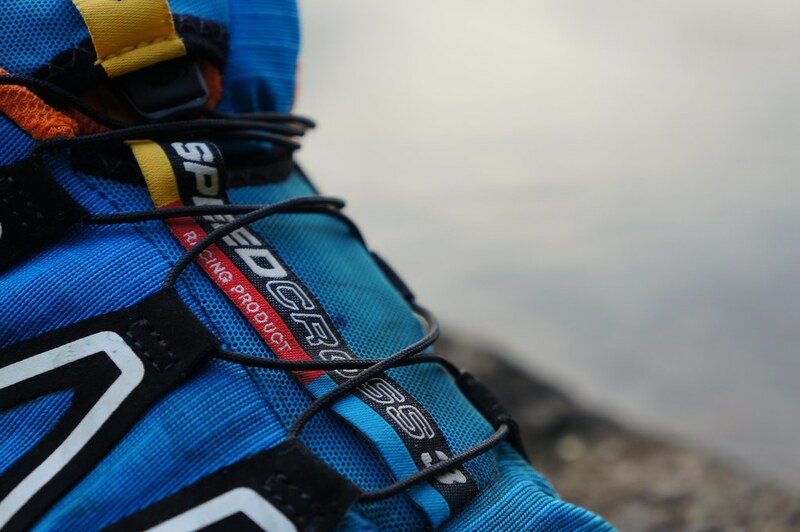 Because they have a bit of insulation - it’s not just mesh like the X-Talon - they keep moisture longer than the aforementioned shoes, but in cold weather - I have been wearing the Speedcross 3 throughout winter - they are warmer. That’s probably also a reason why in very hot weather (over 20°C) I got slightly sweaty feet in the Speedcross 3, but overall they were a good mix of insulation, breathability and drying. 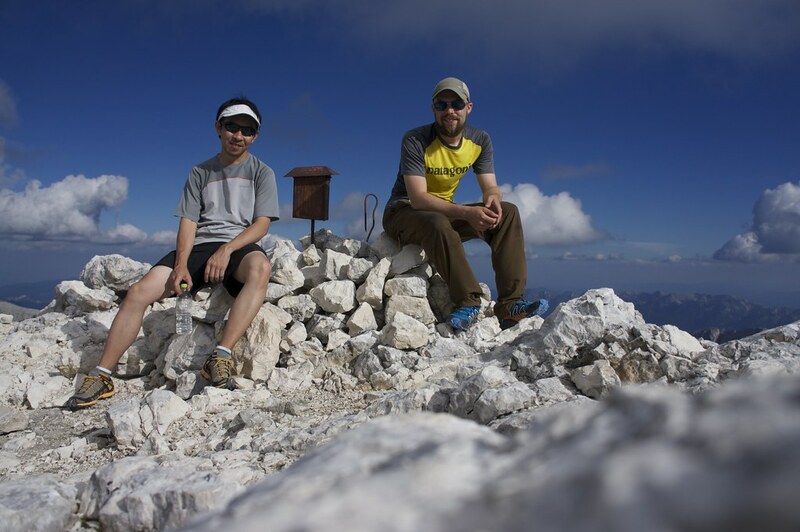 I climbed a 2569 m peak in the Alps in the Speedcross 3 and climbed/ scrambled an almost vertical section up with them. 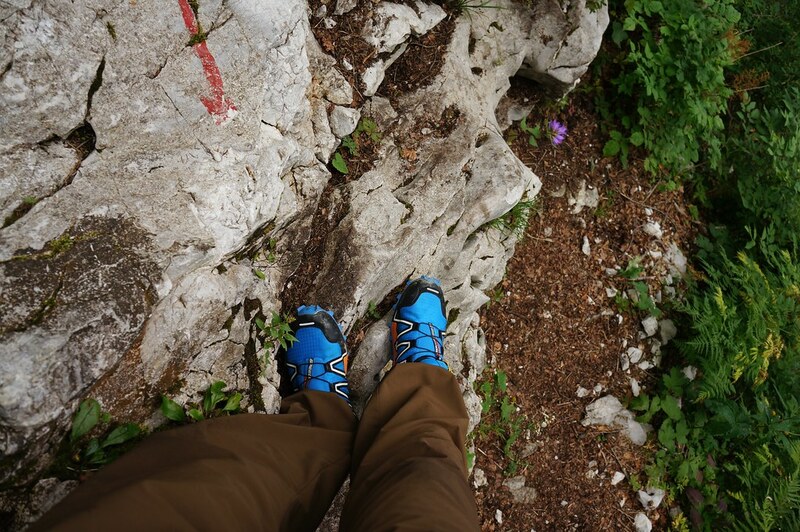 They were just fine, I wished more I would have a Via-Ferrata Set to clip myself in than other shoes. Doing over 2000 m of descent and ascent a day in them was no problem, either - lots of grip on all undergrounds was found, and no injuries were incurred, ever. The only surface where I thought they didn’t have 100% grip was on wet and slimy rocks, but then very few shoes have. 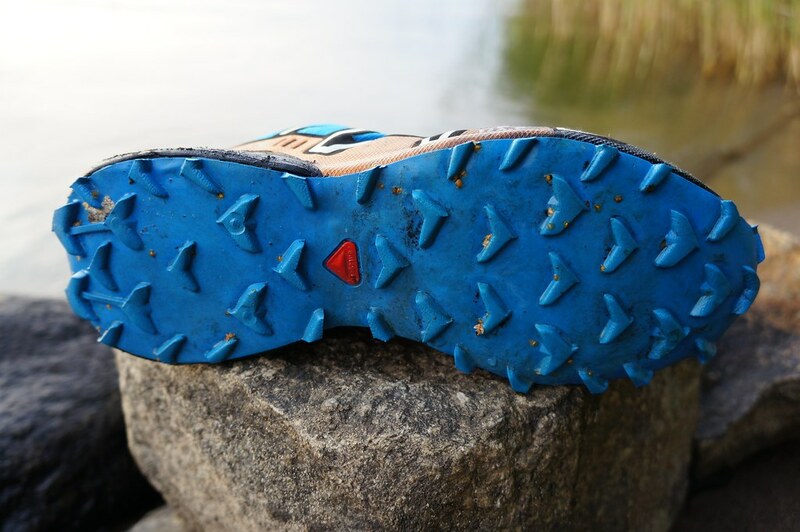 The Contragrip sole is very nice, by the way, and really works very well - in undergrounds like mud and snow you’re not slipping in them when hiking/ running down or up. Lots and lots of alternatives, some lighter, others with Gore-Tex or more insulation. 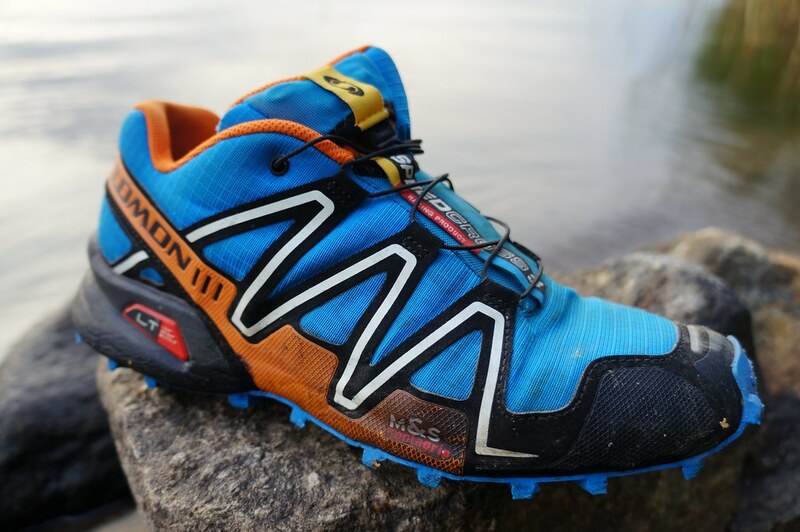 Noteworthy are the inov-8 Roclite 295, La Sportiva Anakonda, New Balance MT10v2 Minimus, Montrail Bajada and Merrell Mix Master 2, amongst others. Steve from Up To The Top rates them very high, as does Tom from iRunFar.com. 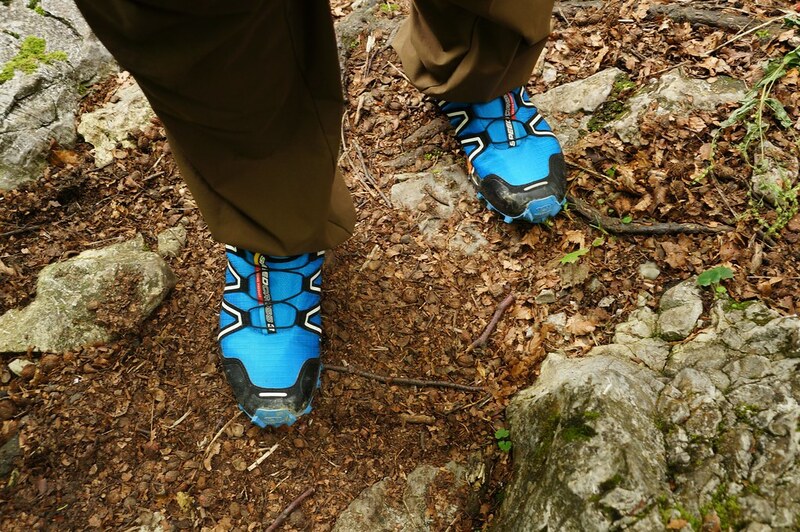 I have been a loyal Inov-8 user for many years, but last year decided to try the Salomon shoes. 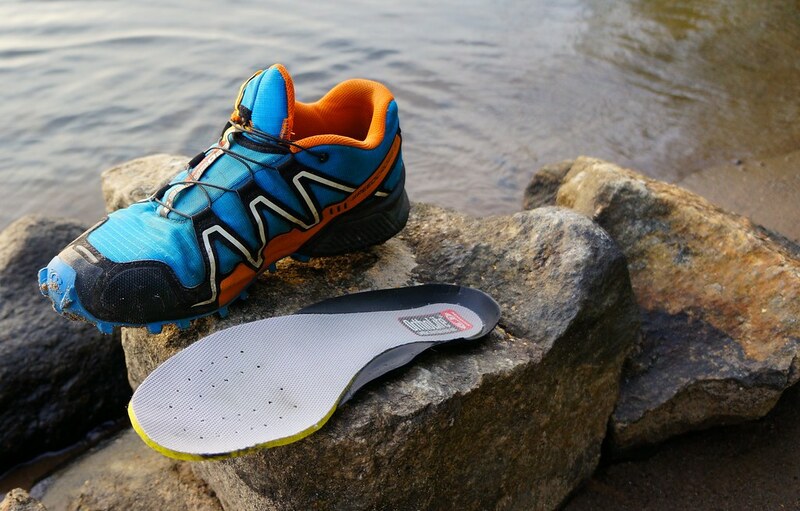 One of the reasons was that many mates on the Ultraleicht Trekking Forum have been speaking very positively about Salomon trailrunners for backpacking, and I was ready for something new. Ladies: There’s a female version of this shoe available, and also one with ClimaShield in case you want to use the shoes in winter.